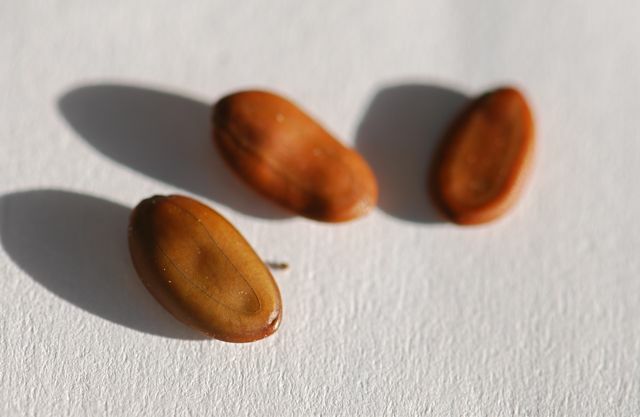 Our mystery seeds from last week were from a member of the legume or bean family, Fabaceae, like the red bird of paradise. 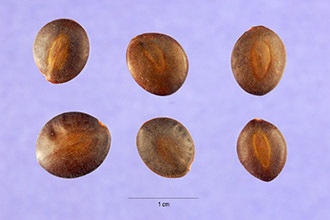 These particular seeds, however, are from a desert fern, Lysiloma watsonii. Let me show you the desert fern first, and then if you are interested, I'll show you how similar some of the seeds and flowers are in this group. 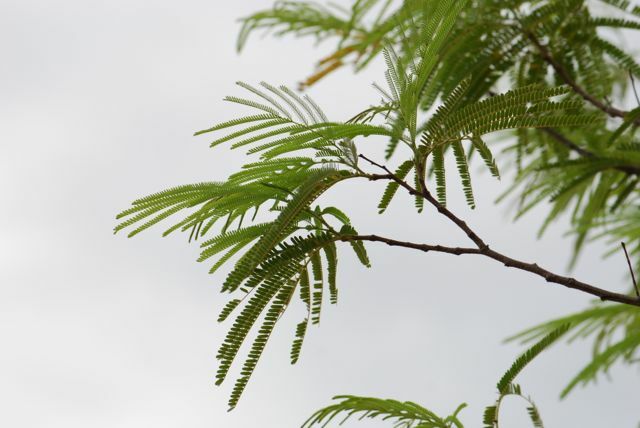 The desert fern is a small tree. 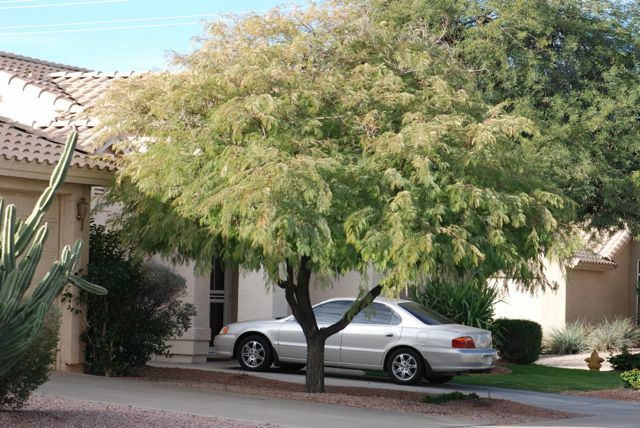 As with many desert trees, it can have a shrubby appearance. 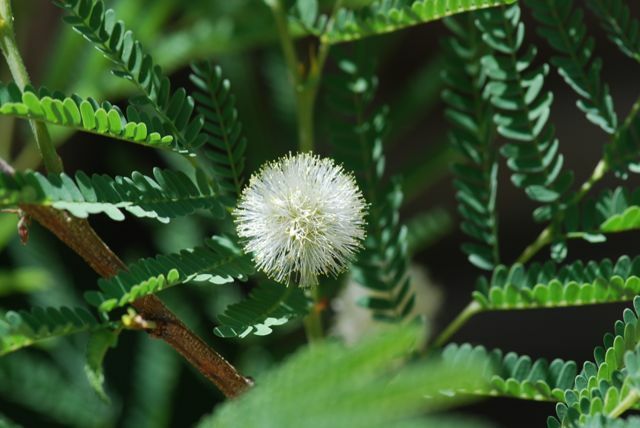 In fact, another common name is feather bush. 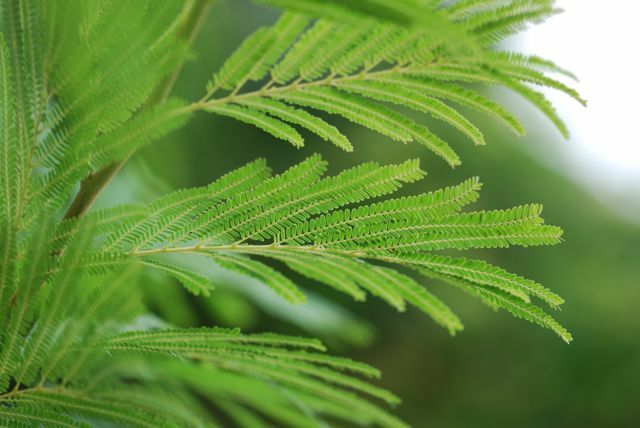 The common names feather and fern refer to the delicate, droopy leaves, which have a soft, feathery look. The leaves are pinnately compound, with many tiny leaflets. Desert ferns flower in the spring. 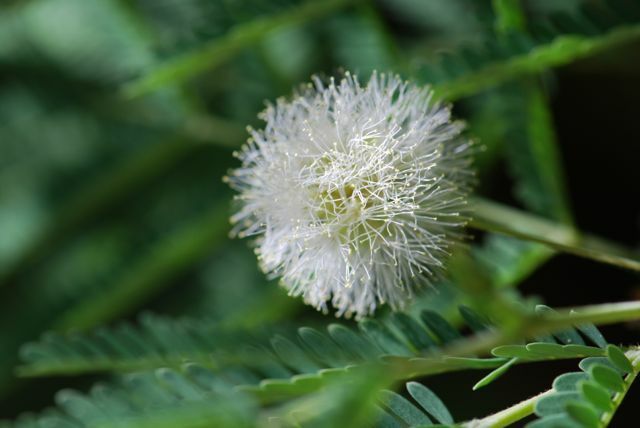 The flower is a round puff-ball of stamens, similar to its relatives. Desert ferns are native to Arizona. They do well in the heat, use little water, and are relatively fast growing. The main drawback of this otherwise lovely tree is that they will produce a lot of seedlings in irrigated landscapes. Now let's take a look at some similar seeds. 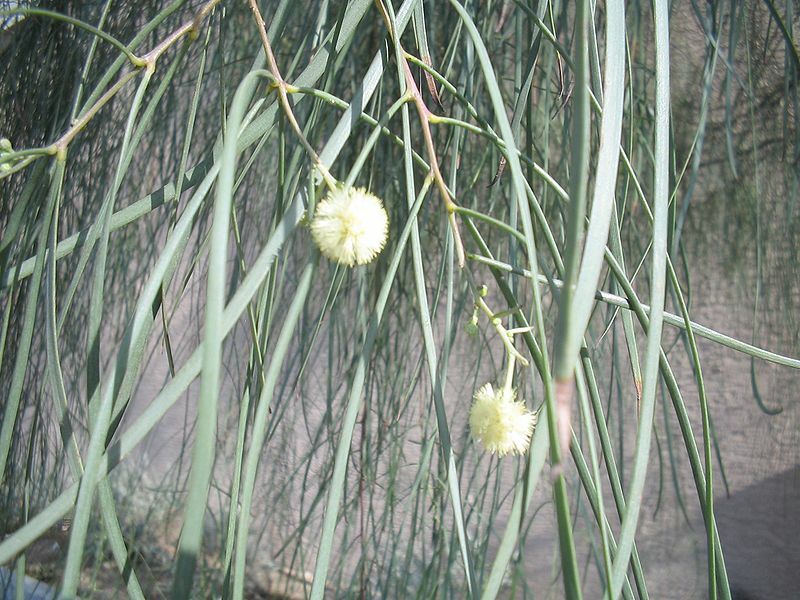 Desert ferns are classified in the subfamily Mimosoideae, which include the acacias and mimosas as well. 4. 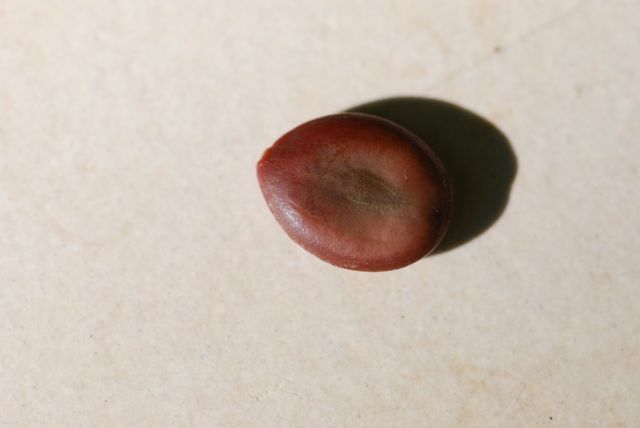 This is mimosa seed. 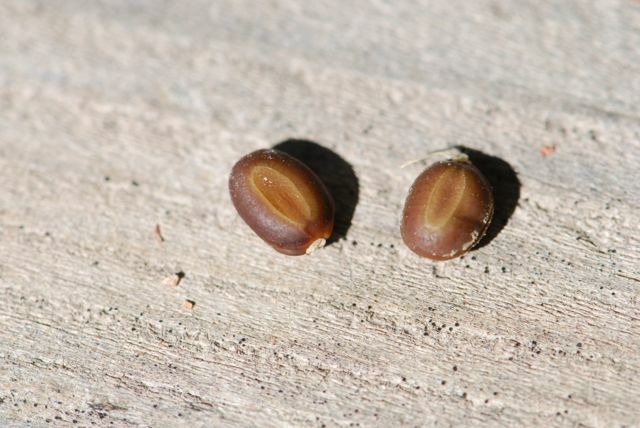 I should also mention these legume seeds are all found in pods. Isn't it amazing how similar the seeds are given how different the leaves are, particularly the shoe-string acacia and the desert fern?